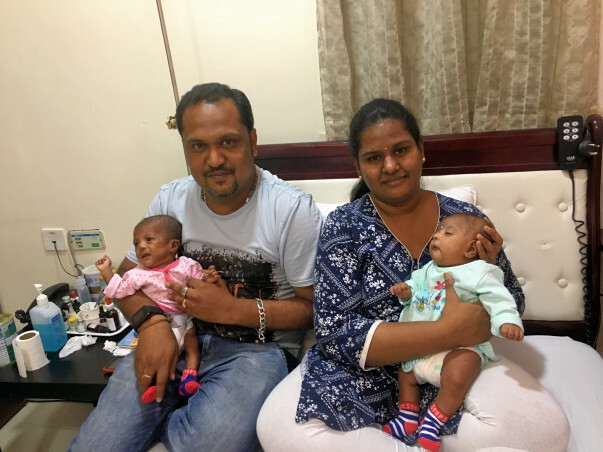 "Charles Naveen David is a father of two babies who were born in 25 weeks. The couple was born with triplets but they lost one within days of its birth. Having born at 25 weeks, the new borns had multiple medical conditions and have struggled for their survival since then. Charles and his family have been at Cloudnine Hospital, Old Airport Road, Bangalore. Their bills had touched 33 lakhs. He managed to pay 8 lakhs by loaning the amount from his brother in law but also expressed his inability to pay any further to the hospital authorities. Post the discussions with the management, the outstanding amount stood at 16 lakhs. 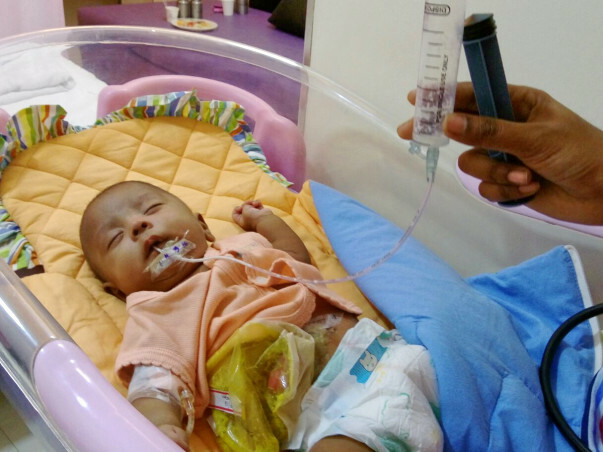 While the hospital discharged the baby boy on 9 Mar 2016 but the baby girl is not in a state to be discharged. 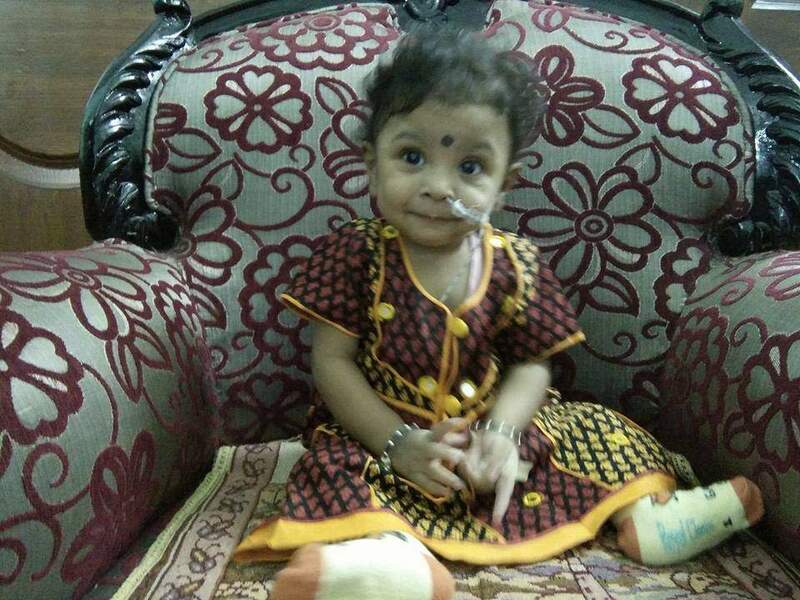 She continues to be on food pipe (rice tube) due to her medical condition and will also be operated again in few months for her stroma (intestine) that needs to be placed back. Charles is sole bread winner of the family. Financially, he is all the twins have with no support from either relatives or anyone in his network. I will keep the donors updates with regular updates of both these twins. Request you to please step forward and support Charles and his babies to live a life that these little ones deserve after having fought death so many a times in the last 5 months. Here is your chance to be closer to God." Vasanthi's and Charles's daughter, Kanishka, underwent a colostomy closure successfully on the third week of October at Cloudnine hospital. She had not been able to pass stools all these months. Thanks to the surgery, she is now able to do so. For a few days before and after the operation, she was on a liquid diet. She took a week to recover from the operation. She has lost a little weight in the process. Kanishka is still being fed via a ryles tube and this will continue for a few months till doctor says so. Only now, her diet has now started to include rice, dal and milk. She was discharged from the hospital on October 30, and is now healthier than ever. But she still has to be taken to the hospital regularly for periodic check-ups. The couple’s son, Anthony, has not needed any operations after the last one in May and is healthy ever since. Kanishka and Anthony celebrated their first birthday on October 12. Let’s pray that Kanishka recovers completely over the next few months. 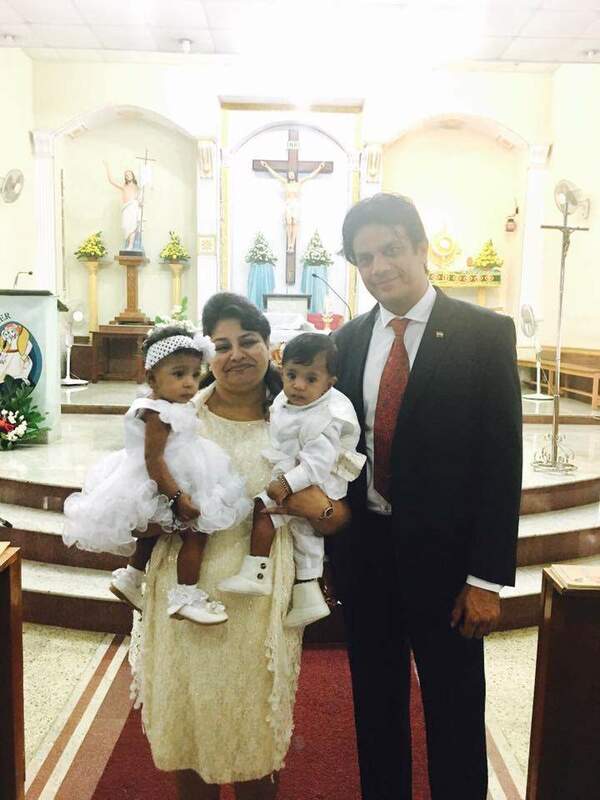 Here is a photo of the twins along with Major Aditi, the campaign's champion, from the Baptism last month. I am Vishnu Rao, a Milaap Open fellow from Bangalore. I met with Charles a couple of weeks back and had a chat with him about his campaign. He spoke to me at length about his story and what he has been through over the past months. His children were prematurely born within 25 weeks of conception, nearly three months before the due date. They were expecting their children to be born two months before the due date, however, this took them completely by surprise. He was blessed with two daughters and one son. Their children were hardly 720 pounds during birth, not even a kg. None of their organs were even fully developed. “They were all hardly the size of my palm and the only faint reassurance of life was their heartbeat,” Charles recalled. The situation was demanding and even doctors were uncertain. All their children were on the ventilator. A week after their births tragedy struck them. Their middle girl child died due to complications. This experience affected Charles and his wife deeply. They still haven’t recovered from the loss . Complications with their other children have kept them busy over the past few months. Every single day that their children live gives them the strength to overcome and accept the eventuality. 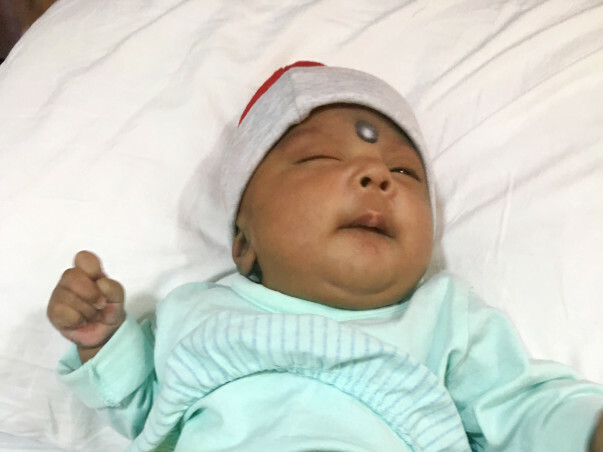 About four months after this incident, their children opened their eyes for the first time. It was an encouraging moment for the parents. “My daughter is a miracle child,” Charles said. His daughter has gone through a lot of obstacles since her birth. She has survived all of it, in the face of odds. The amount of pain she has withstood is unbelievable. Even presently, she has a tube from her mouth that is connected to a bag attached to her stomach. They take her to the hospital every three days to get this bag replaced. There is even a surgery that needs to be done on her. Their son has just undergone a surgery on his intestine and is recovering fast. He is out of harm's way and has started to grow at a steady pace. He was smiling the whole time I was with him. Charles was very thankful to the doctors who treated his children and felt indebted to them. The doctors ensured that each of the babies had individual nurses taking care of them round the clock. The doctors treated the children regardless of money. 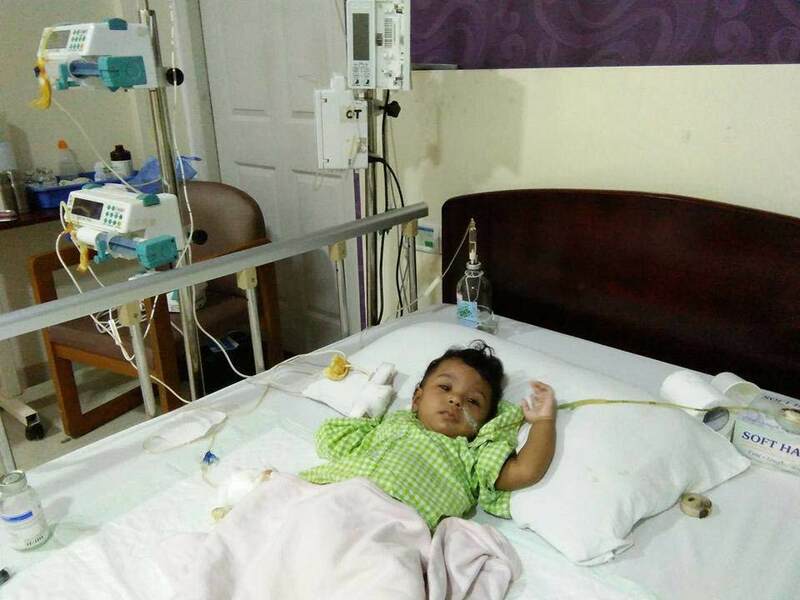 “My daughter is alive now, thanks to the efforts put in by the doctors,” Charles said. Charles family got discharged yesterday and both the babies have come home. 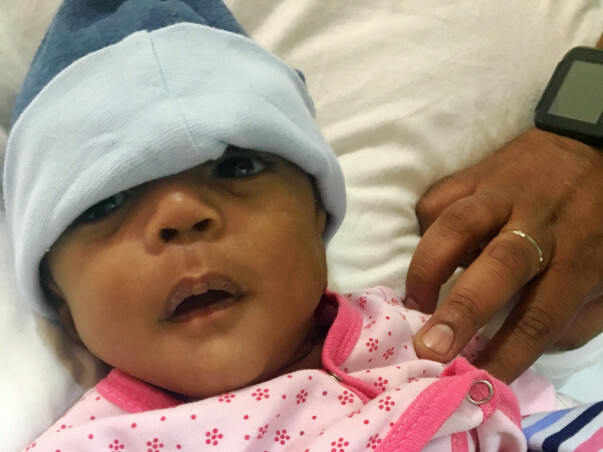 The baby girl will have her two more operations in the coming weeks /months and regular checks will continue to keep a tab on their development or any complication. I thank you all for stepping forward and helping this family. This would not have been possible without you all. You have been their guardian angels. The earlier/ initial update / background is below for you to peruse through.